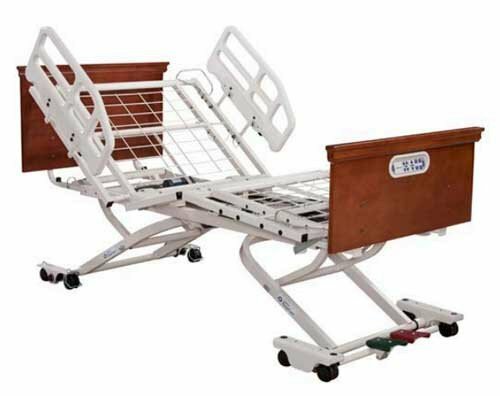 EasyCare Hospital Bed is a configurable bed designed to adapt to the needs of individual caregivers and patients. The ability to easily configure and adjust the bed for specific patient needs make the EasyCare more user-friendly. 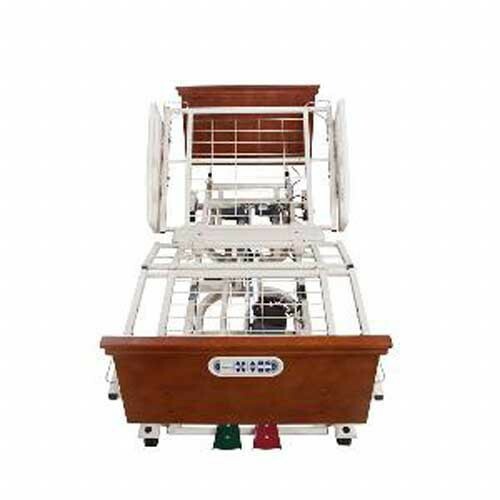 This bed offers expandable width, a pedal locking system, a reinforced sleep deck, panel retentions, and mattress corner stops. A grid deck surface supports the mattress and offers better airflow for less heat buildup. 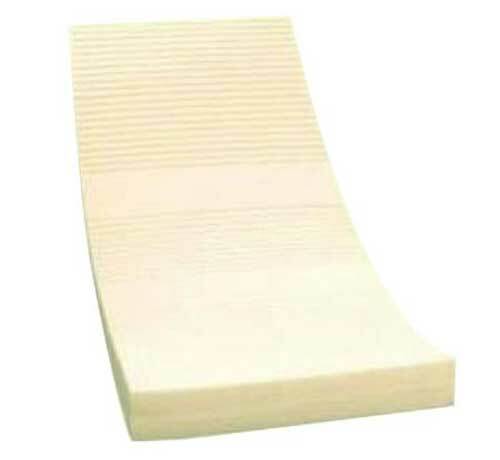 Mattress stops are standard and help keep the mattress in place, under the patient. An EasyLift Leg Positioner offers quick positioning of the knee section to help improve blood circulation. A baseboard bumper protects your bed frame as well as walls and furniture. Heavy-duty casters provide greater mobility along with roll-at-any-height mobility and CareLock safety to prevent the bed from rolling unintentionally. Four whisper-quite DC motors power the full-electric hospital bed functions. Manufactured by Joerns Healthcare, the EasyCare Bed offers the features requested by medical facilities at a low discount price. Enjoy a feature-rich hospital bed within the confines of your own homecare setting. Toroidal Architecture -The manufacturer uses Toroidal engineering in a tubular steel frame that provides up to 30 times more strength than angle iron. Many competitors are still using outdated angle iron designs in their hospital beds. Greater strength and better design offers greater durability and increased safety for patients. Step up to Toroidal architecture. 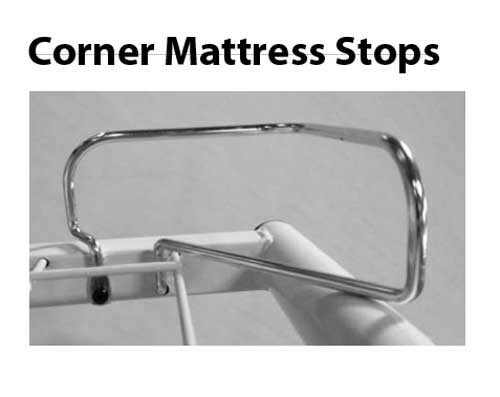 Corner Mattress Stops - Stops on each corner of the mattress provide security to keep the mattress in place. These stops help keep the mattress from sliding laterally or longitudinally on the mattress support. For patients that toss-and-turn during sleep, this safety device keeps the mattress stabilized and under the patient. The corner mattress stops easily adjust to expandable widths of the bed frame. Head & Foot Board Panels - This bed package comes standard with beautiful traditional styled head and foot boards with a rich Cordovan finish. The traditional head and footboard set is functional, smart-looking and a great value. 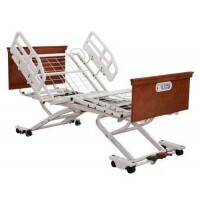 Your hospital bed will have a great look at a great price. The headboard/footboard is made of a wood laminate and is both attractive and durable. The width of the head and foot boards are 42 inches to support all three CareWide settings.This attractive style and finish is designed to fit and blend with almost all decors. Advanced Care Positioning - This feature offers five key advantageous over standard hospital beds. First, clinical positioning can be achieved with Trendelenburg and Reverse Trendelenburg positioning to help treat respiratory or circulatory patients. Second is the Gravity-Assist Repositioning system to maximize patient care while minimizing the risk to caregivers. Third, is the low bed function that decreases the risk of fall injuries to patients. 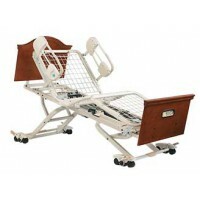 Forth is the high height function of the bed that facilitates easy access for caregivers to the patient. Lastly, the Advance Care Positioning system provides auto-transfer adjustments that modifies the bed height for optimal safe transfers. 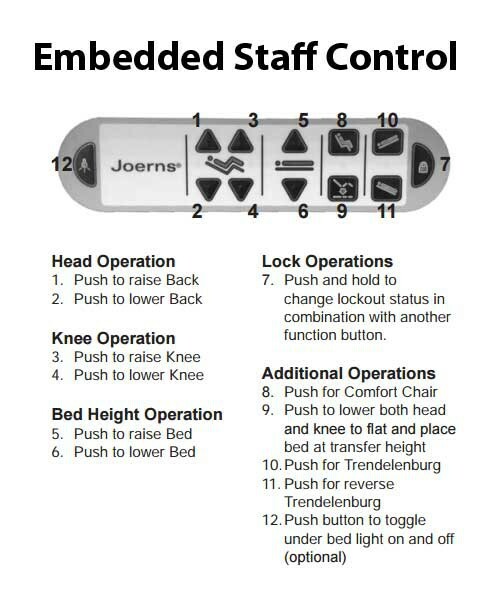 Advanced Staff Controls and Pendant - An embedded staff control provides easy access for caregivers to adjust the bed positions. 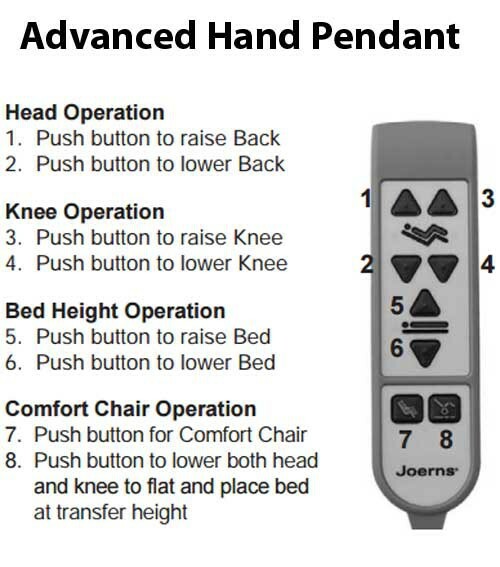 An advanced pendant control allows the patient to safely adjust and reposition. The controls are ergonomically designed with raised buttons that provide easy control. Backlighting increases visibility of the buttons during night use and an angeled staff control makes the controls easier to read and operate. 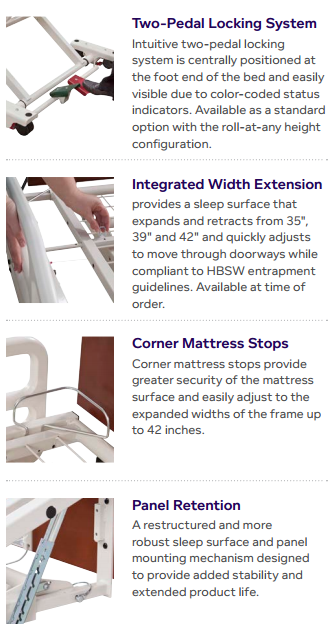 CareWide Integrated Width - One of the best upgrades to the EasyCare Bed expands it from a width of 35 inches to 39 or 42 inches to accommodate various sized patients comfortably. Patients that fit into a narrower configuration are more easily accessible to caregivers. Patients that require more room for comfort can be accommodated by extending the width of the bed. 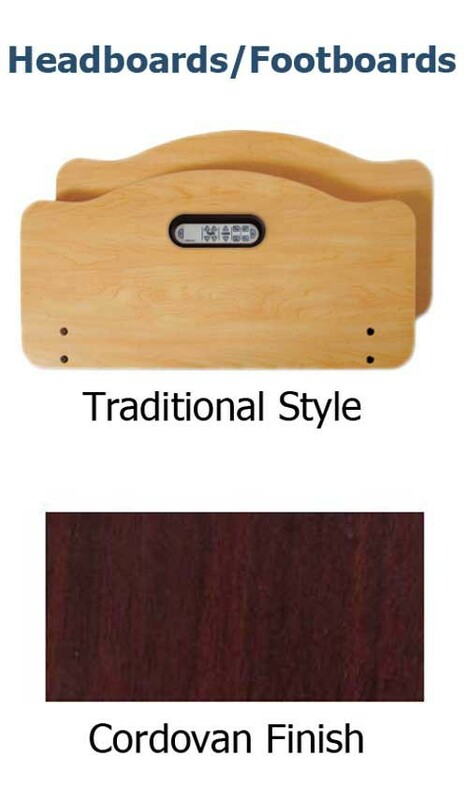 With the CareWide (also known as Care-Fit) feature, the width is quickly adjustable between the three different settings. The EasyCare is HBSW compliant with entrapment guidelines. 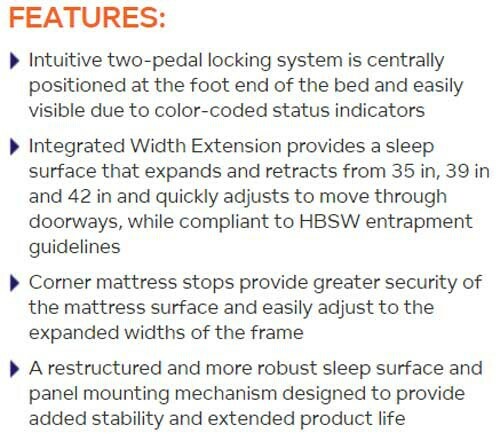 CareLock - A two-pedal locking system is positioned at the foot of the bed for easy access. The locking device is clearly visible with color-coded status indicators to easily determine if the wheels are locked or free. This feature offers enhanced mobility and swivel caster functionality at both ends of the bed to easily maneuver within tight spaces. Roll at Any Height - This option allows you to easily roll the bed safely from room to room. You do not have to move the bed only in the low position as is the case with many competitor beds. 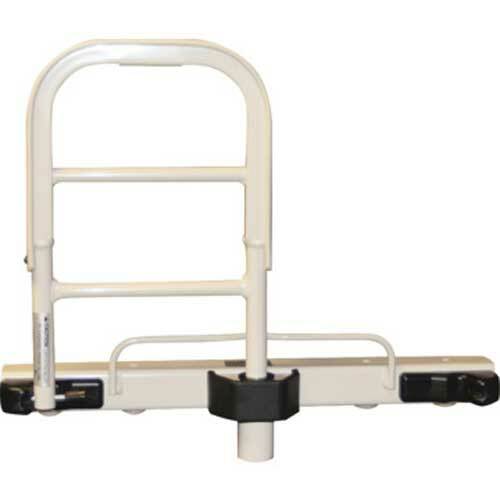 The EasyCare “Roll-at-Any-Height” offers safe transitions at any height. 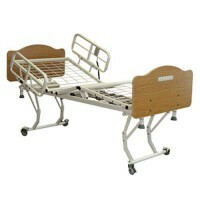 Joerns also manufactures the very popular Care 100 Hospital Bed and UltraCare XT Bed. 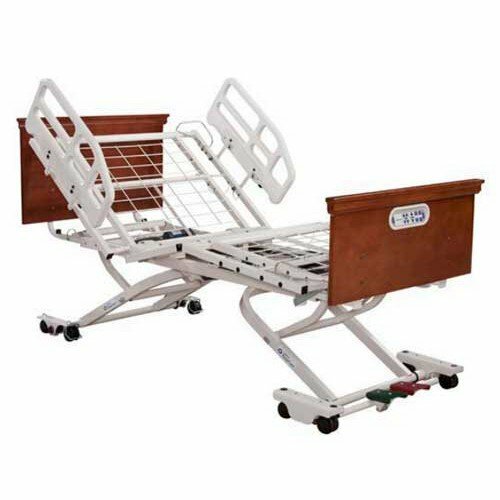 Vitality Medical carries other leading hospital bed brands and accessories, including hospital bed trapeze, overbed tables, bed safety rails, and bed sheets. 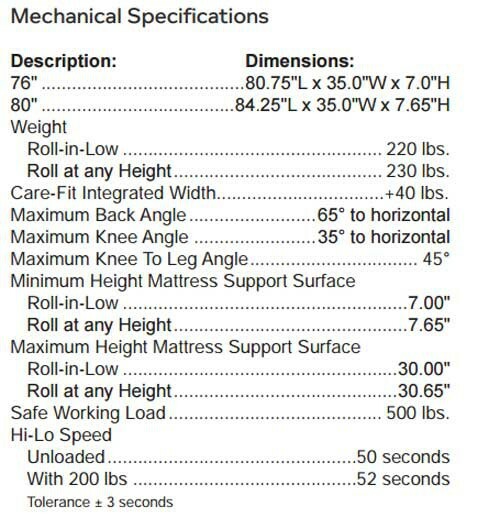 Dermatech Mattresses are manufactured in the USA to meet FDA, OSHA, ISO, IEC and UL standards. This foam mattress comes with BodyWrap for maximum comfort and pressure relief and is anti-microbial. A removable cover provides a fire barrier and is antimicrobial. Lateral contour cuts design provides excellent pressure redistribution in three individual zones. Anatomical zone design provides appropriate support, reducing problems of unequal weight distribution. Unique stepped contour surface cuts in the leg and heel sections improve floatation and pressure reduction on the ankle and heel areas. 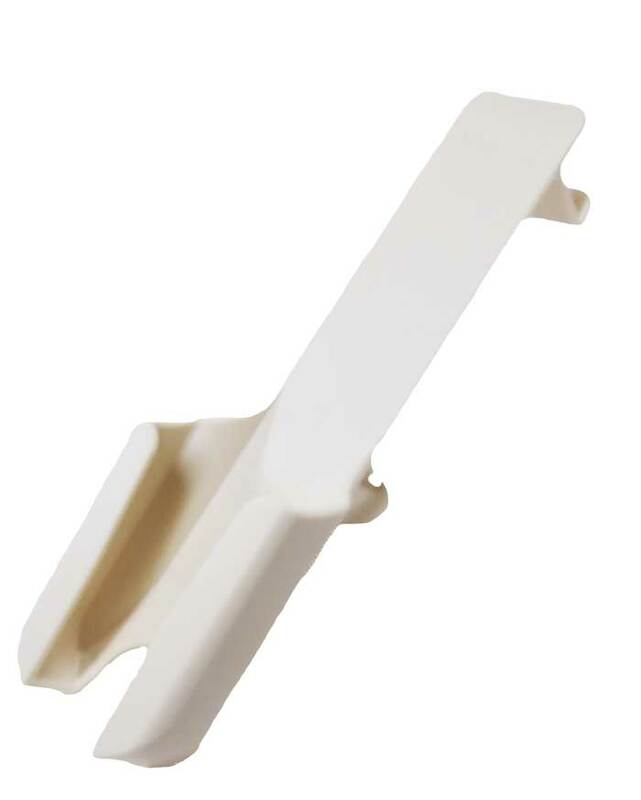 The Assist Handle offers a sturdy hand hold to facilitate easy egress and ingress from the hospital bed. Patients may also use the Assist Handle to aid in adjusting their position in bed or to help in turning over. Offering two separate positions, This Assist Handle is sturdy and durable. The Deluxe Assist Handle is designed for this bed. 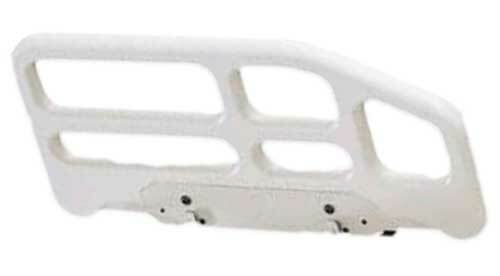 This bed rail has multi-functions. First it serves as an assist handle to aid in getting in or out of bed. It may also be used by the patient as a handhold for assisting in turning over in bed. Second it may serve as a short, safety bed rail, particularly when placed near the center of the bed. Lastly, the Pendant Holder can be fastened and integrated to this Assist Handle to keep the pendant control handy and accessible for the patient. The design of this assist device minimizes limb entanglement or entrapment. The Assist Handle is easy to install and offers quick removal without any tools. 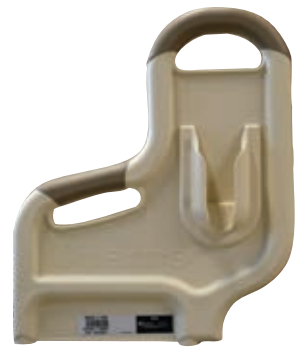 Handholds are ergonomically designed and are sturdy to provide patient support. The handles are soft, offering a good comfortable grip. This handle meets IEC 60601-2-38 requirements in all positions. The SoftCare Half Rail is an attractive patient protective device that assists with patient fall management. The half rail helps to avoid the feeling of restriction or restraint for the patient while still offering fall protection. The rail also provides hand-hold, gripping surfaces that allow the patient to grab and more easily turn in bed. This half rail moves with the mattress and bed deck for added security. 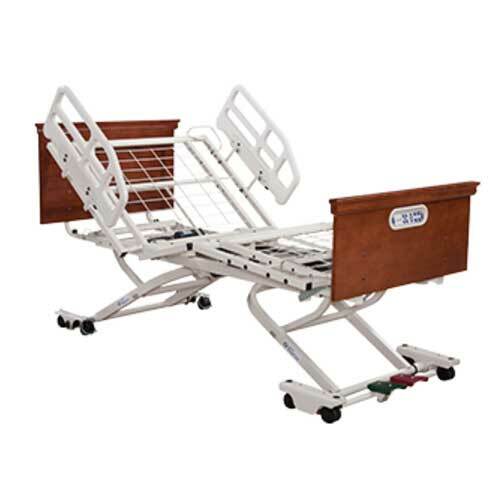 bed rails and assist handles are interchangeable safety devices that can be mounted to any one of four locations on the bed sleep surface, in a variety of configurations, to best suit patient's requirements. This Half Rail is sold as a pair. Pendant holders provide a safe and convenient place to store the hand remote pendant until needed. Instead of getting the pendant lost in the sheets, this device keep the remote handy and ready to use. 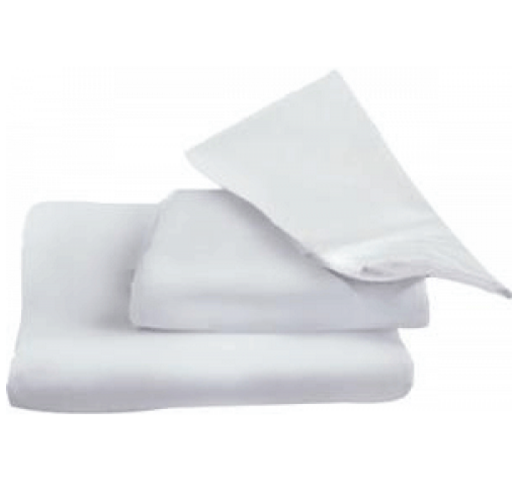 Manufactured by ReliaMed, this three piece hospital bed sheet set comes with a mattress sheet, top sheet, and pillowcase. This bed sheet set is designed for standard hospital beds. The top sheet is larger than a standard top sheet for easy bed making. The mattress sheet is a fitted bottom sheet to provide a snug fit upon the mattress. White Glove Delivery Service includes shipping and full assembly in a suitable room of your choice. 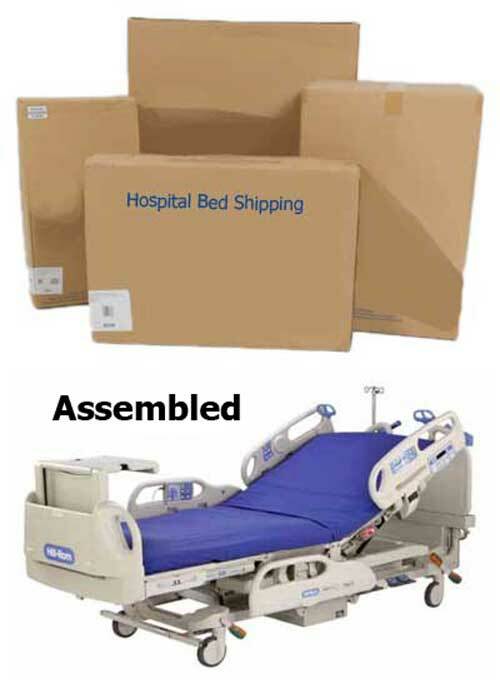 Product Brochure covers the features and benefits of this hospital bed. User Manual contains setup, use and maintenance instructions. Warranty offers warranty claim information. F025 Assist Handle User Service Manual contains installation instructions. F14 Assist Device User Service Manual presents installation instructions and warranty information. 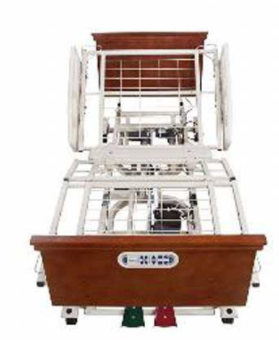 F18 SoftCare Bed User Manual offers setup and use instructions.